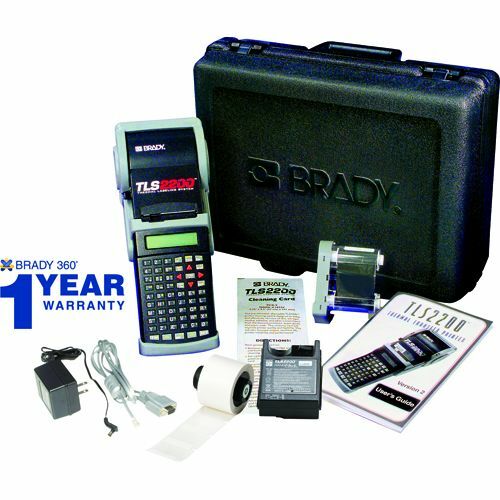 The TLS 2200 Thermal Transfer Printer is Brady's ultimate answer to your toughest labeling challenges. The TLS 220system offers the light weight (2.7lb./1.2kg) of a hand-held printer- while providing capabilities such as thermal transfer printing-bar coding and multiple material configurations. Store labels and create lists. The TLS 2200 printer's internal memory allows you to create and save legends in lists and recall them with only a few keystrokes. Easy to handle- easy to use. Handheld- lightweight and easy to use- the TLS 2200 printer lets you print whatever you want- whenever you want. PC compatibility. 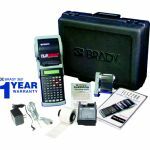 New PC compatibility allows you to print directly from Brady LabelMark software. Now you can import lists from a spreadsheet to LabelMark and print directly to the TLS 2200 printer. Portable bar coding. Never be tied to one location again. Now you can have permanent- quick and crisp bar code labels whenever and wherever you want them. Autotext sizing. Autotext sizing allows the TLS 2200 printer to read your label style- select a suitable type size and register it for printing instantly.